To celebrate end of term we went for a drink last friday, and since we didn’t wanna cook we also went for dinner afterwards. Unfortunately, my favourite italian place was booked, so we thought we’d try another one, new for us: Casa Vecchia (Oldenburg, Germany). Summary: awful. Don’t go there. Service: not particularly friendly and extremely slow (there were maximum 5 tables occupied, I saw definitely 4 people serving, so they can’t have been busy, right?) and quite arrogant. The wine we got was nice to drink, after we had looked at the closed bottle for about 10 (?) minutes, but the day after I had a headache. The antipasti tasted good, but there was a dead fly on them. My main course did not taste good, it was as if the beef wasn’t really fresh anymore. brr. Very depressing decoration in the restaurant. Too expensive. Pity. Won’t go there ever again. To make up for that we went to a much better place the day after: Landhaus Tettens. Summary: very good food, for a very nice price! I hope I will go there again, some time soon. The restaurant is a little dark (it’s an old farmers house) and the design is a bit archaic and a bit country style like, but in a rather nice way. The atmosphere is pleasant. Here too, there were at most 5 tables occupied (well, one with a big group), and three people working in the service, but here, service was fine, maybe they had a little too much time (one was rather talkative). Anyway, as a starter we had a terrine of salmon with a cucumber granitee, and wasabi. really really nice. The only thing i can complain about the granitee is that is was way too little. This tasted so refreshing, I could have eaten a whole glass. 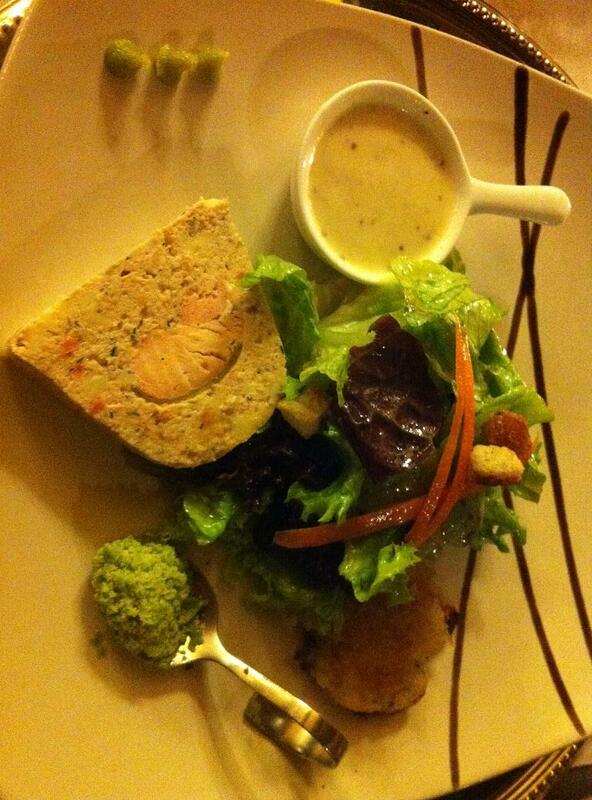 The terrine was well made and went really well with the wasabi paste, spicy, but refreshing. After the starter, we ate meat again (although allegedly the restaurant is known for its very good fish, but we wanted meat, what can you do…), pork from the area and a schnitzel, both with fried potatoes, and both really good. 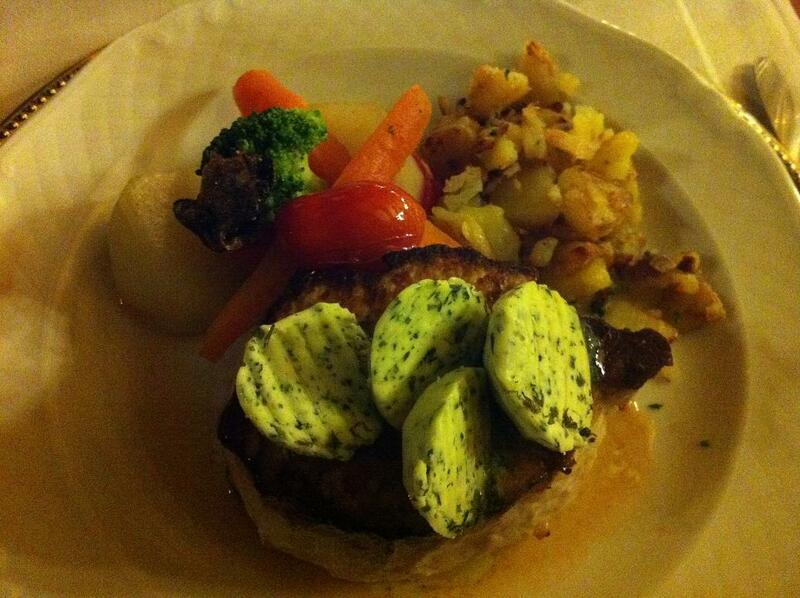 The meat was fresh, tender, and the cook surely knew what he was doing, the pork filet was even a little pink still. Only complaint: too much, it would be good to offer half portions as well I guess. (sorry the pics are a little too yellowy, but I guess you get an idea). We drank a nice grauburgunder to both dishes, and this one too made happy. Conclusion: if you happen to be in the area (close to Bremerhaven): go there! 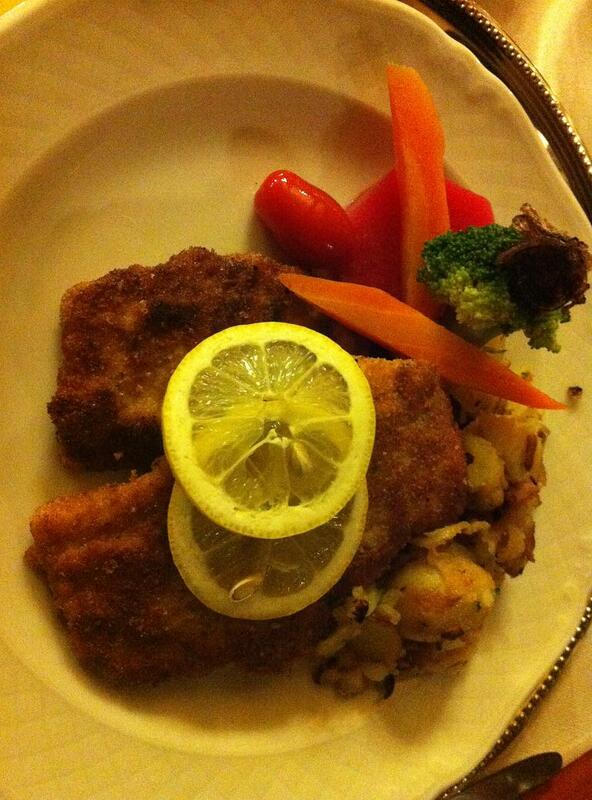 This entry was posted in ate and tagged casa vecchia; landhaus tettens on July 26, 2012 by esthercooks. 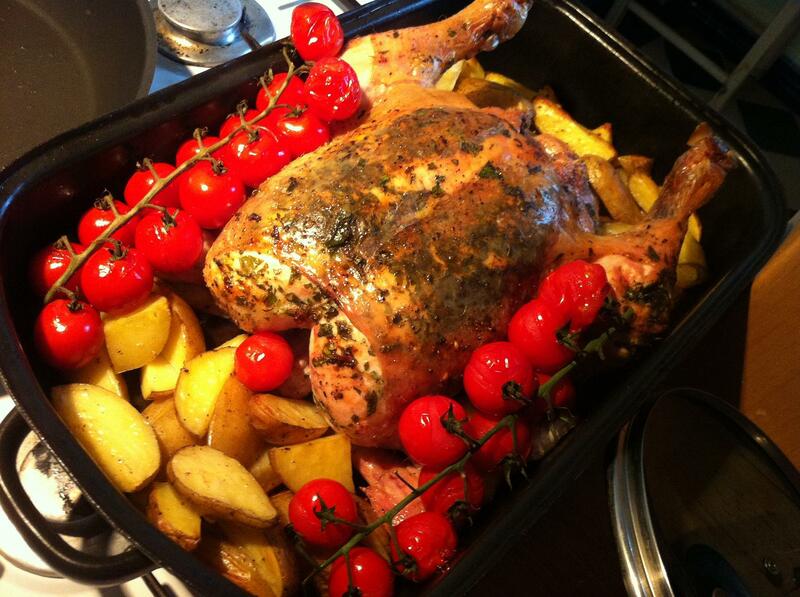 This entry was posted in ate, cooked and tagged fruit pie; chicken on July 16, 2012 by esthercooks. 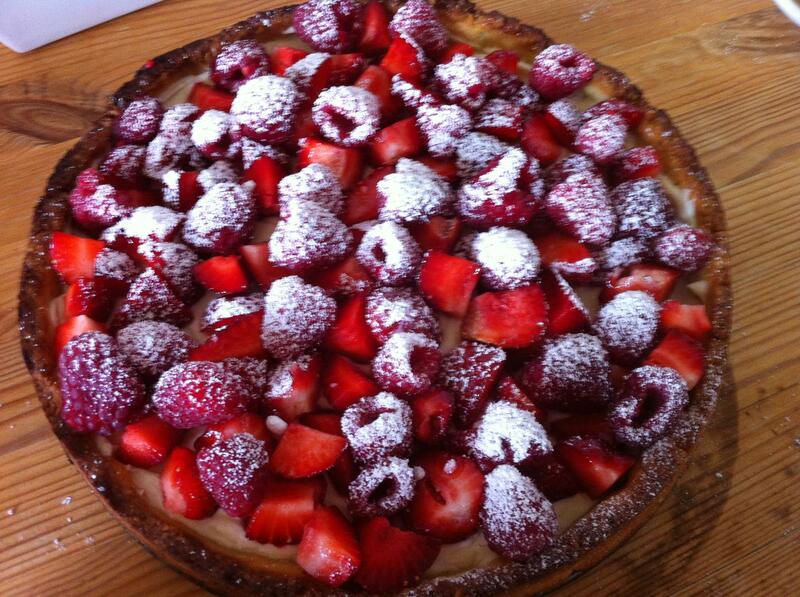 Our July 2012 Daring Cooks’ host was Sarah from All Our Fingers in the Pie! 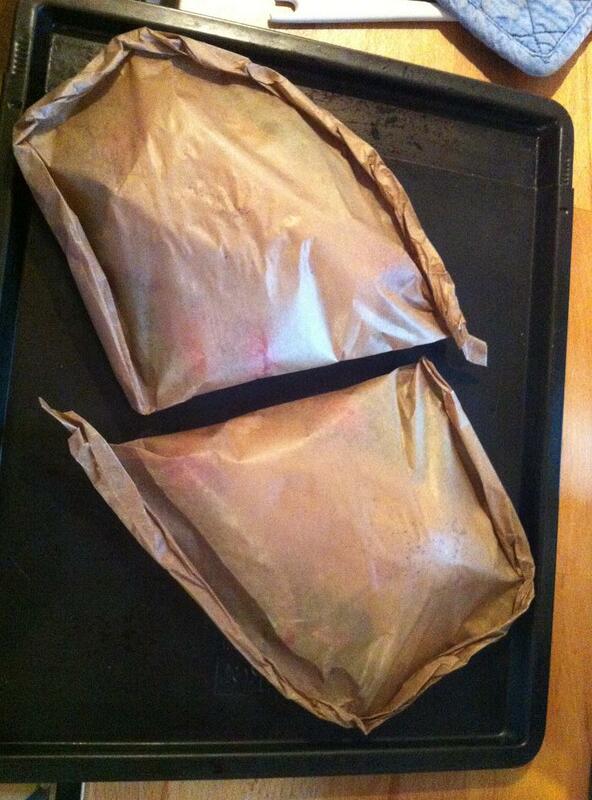 Sarah challenges us to learn a new cooking technique called “Cooking En Papillote” which is French and translates to “cooking in parchment”. 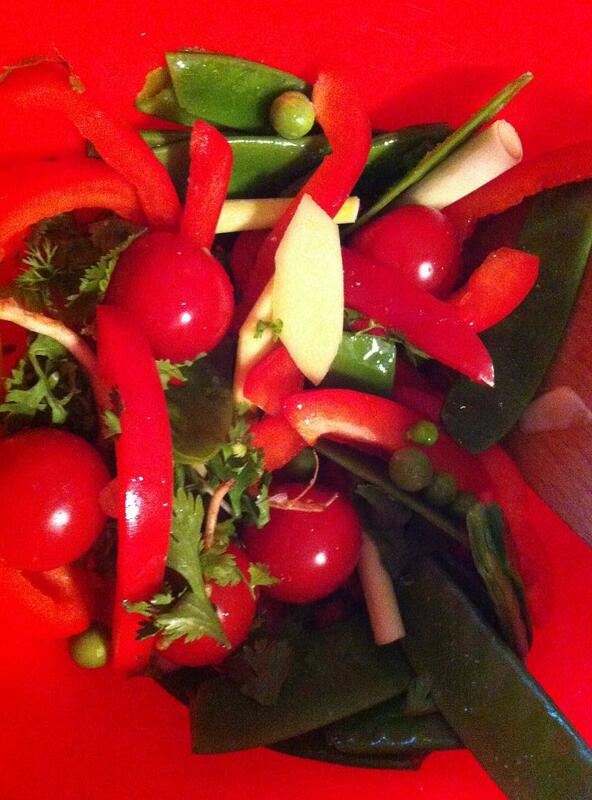 It’s extremely easy: mix the vegetables, with some oil, the herbs, chili, garlic and ginger in a bowl, add a little salt. 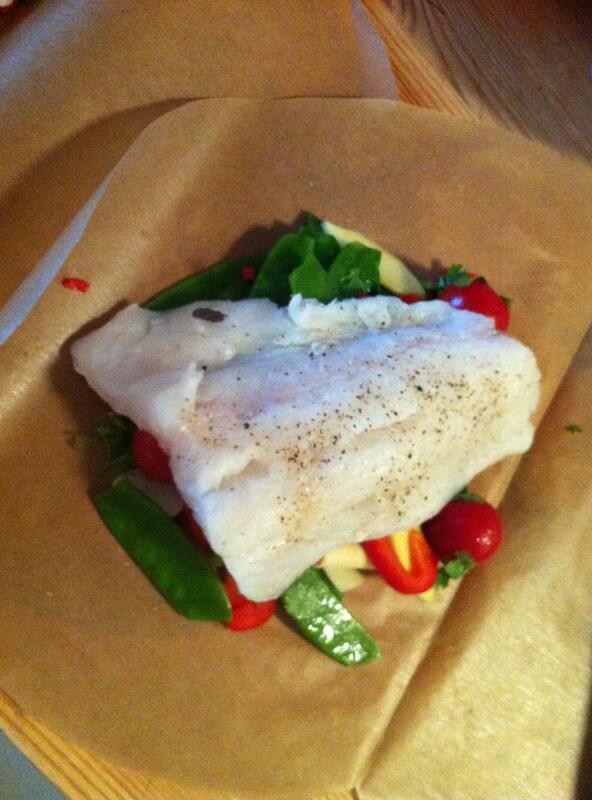 Cut parchment paper in two big hearts, for the papillotes, put the vegetables on one half, put the fish on the vegetables, squeeze some lime juice over it, put some cilentro on top. 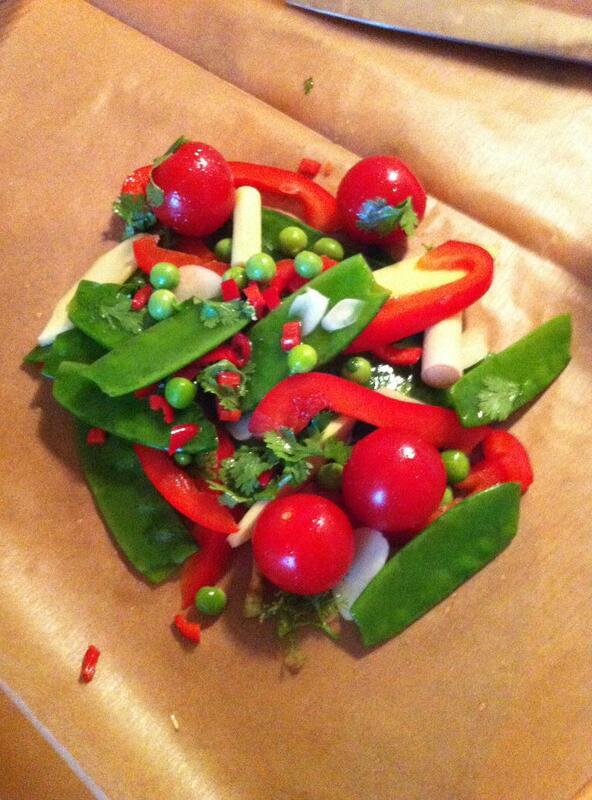 Fold the papillote. Put it in a preheated oven (I put it at about 180 degrees) for about 15 minutes. Done! It smells extremely good, and it tastes good too. What I found interesting is that you can taste all the individual tastes really well. I served this with glass noodles (fun) and a papaya-mango salad (which is even easier: one ripe papaya and one ripe mango in pieces. Lime juice. one half red chili, chopped. Cilentro, just the leaves. Mix in bowl. Done. 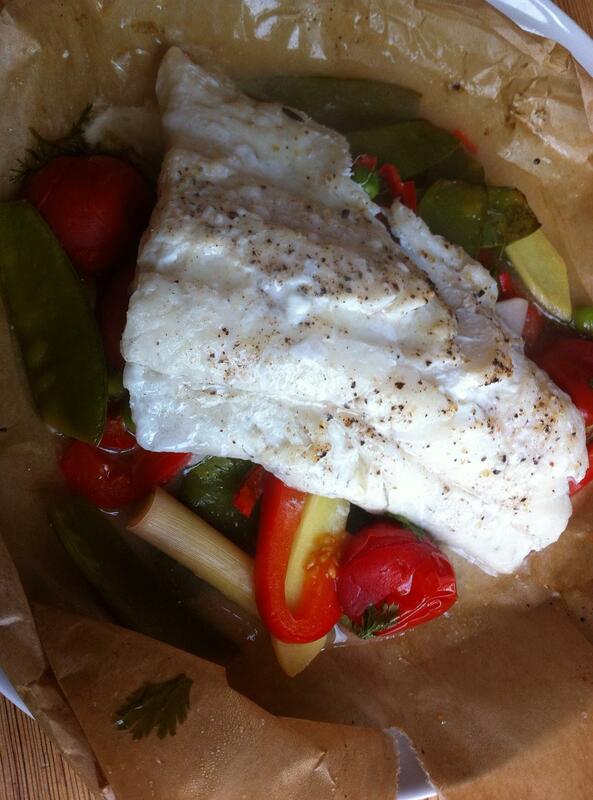 This combines really well to the flavours of the fish pappillote! 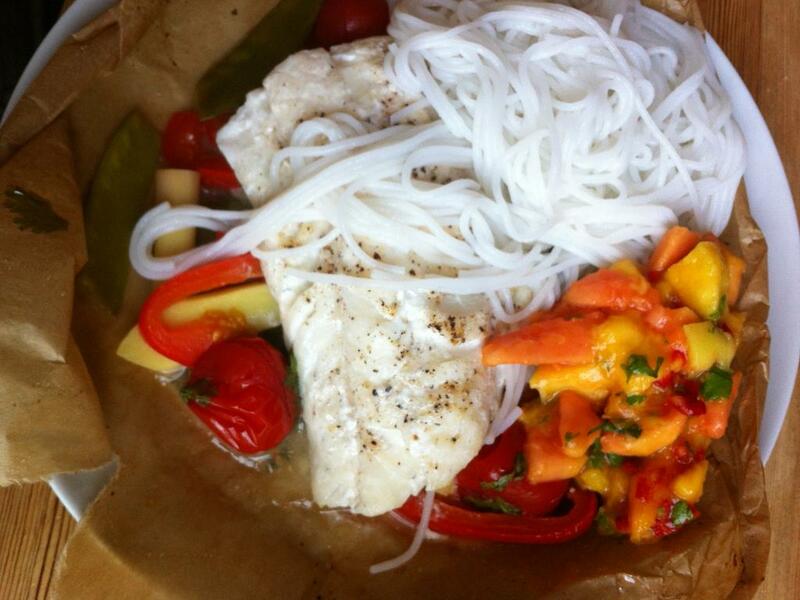 This entry was posted in ate, cooked and tagged daring cooks; en pappillote; thai style fish, mango-papaya salad on July 14, 2012 by esthercooks. too many ripe nectarines, and a dinner guest who has been laughing about my desserts (which I often simply either forget, or forget and then just buy something easy, ice cream for instance), time to make my own ice cream! I moved in with an ice cream machine owner, which is an incredibly handy machine, I can recommend it! 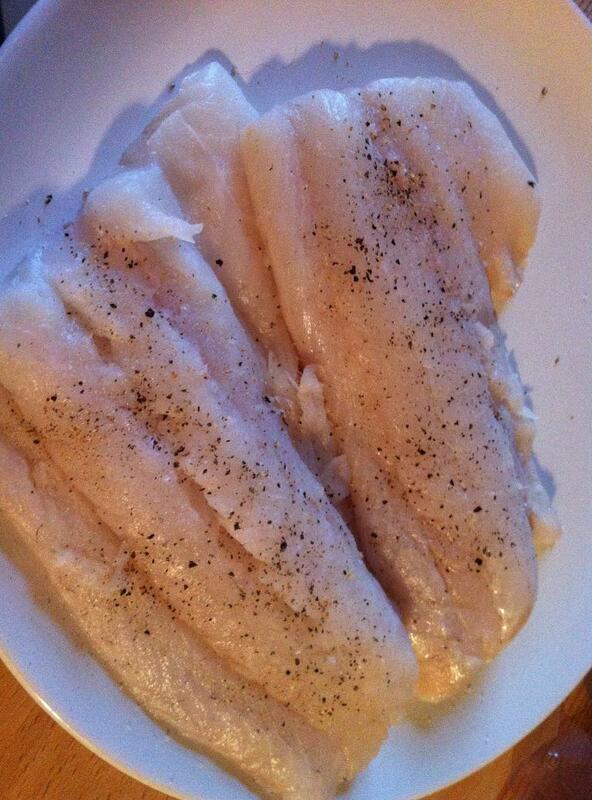 what you need (serves about 4-5, prep. time, 5 minutes, ice machine time, 10-15 more minutes, freezer time, 2-4 hours, depening on freezer probably). 3) put nectarine mixture in ice cream machine and let the machine do its work for about 5 minutes, it should cool the mixture probably, and make it thicker, but not yet sorbet. 4) add the cream to the machine and run it for another 10 minutes, this again depends on the machine, the mixture should be thick, but easily removable from the machine. delicious. guest very happy about my dessert. 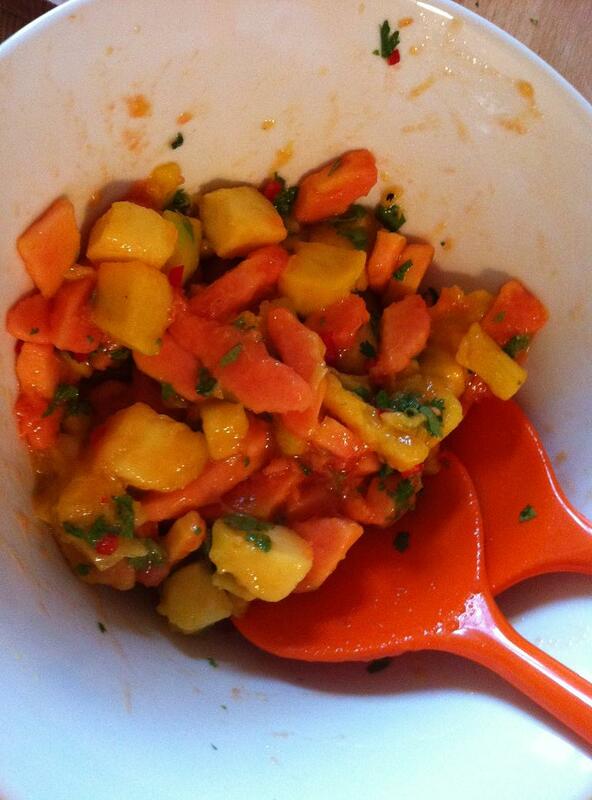 This entry was posted in ate, cooked and tagged ice cream; nectarines; desserts on July 12, 2012 by esthercooks.